Hello Everyone, welcome to the first Husband blog take over! First let me introduce myself, my name is Matt. Some may say I'm not your average dude. By day, you'll see me looking quite rough (border-line homeless) as I work in various construction sites laboring the hours away as an electrician's apprentice. By night, you'll find me busy dreaming, creating and working behind my iMac finishing up my latest graphic design project. I'm lover of all things adventure, from surfing, mounting biking, skateboarding, or shooting weapons at targets. I also enjoy well crafted art, as well as having a soft spot for creative design and great photography. I consider myself to be very blessed! The Lord has blessed me with 3 beautiful children and an amazing wife! Emily is a super talented mother, business owner, teacher and photographer! And most of the time she is actually quite entertaining. If you stalk this blog and haven't met Emily, you should schedule a shoot! You'll meet an amazing woman and I'll guarantee she will make you smile and laugh. You will probably end up with some pretty rad photographs as well. Now on to the confessions! 1- I am home with the kiddos today. Emily was off to New York City early this morning to continue her photo education at a very famous photographers workshop, @Jeremycowart. It was no easy task but I survived. The kids were a blast and I loved playing all day! 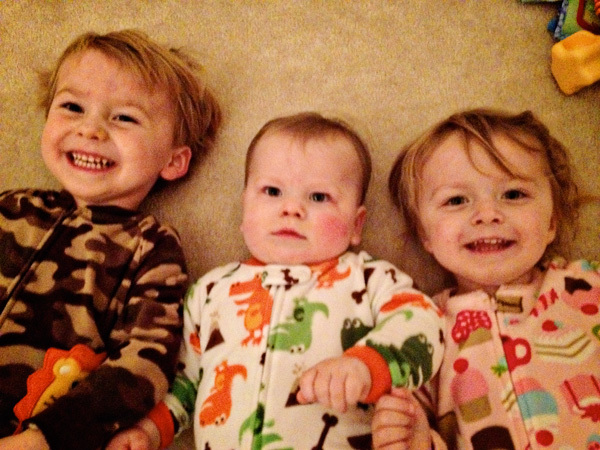 Below is shot of the 3 amigos and yes, they stayed in their pajamas all day. 2- Moving is always fun in the beginning and then you end up not ever wanting to move again because tt's a lot of work. We were super amazed at how much stuff we managed to cram in our old townhouse. We are doing fairly well at getting it unpacked. 3- We are starting to fall in love with Middletown! It maybe a little premature to admit that, but we like this small town vibe. Everyone we meet is really kind and the area is not as congested as up north. I enjoy seeing the stars on my way home at night and still having the luxury of having all our necessities close by. My only complaint is that some folks drive a little too slow for my liking. 4- It's still pretty mild outside, which feels strange for this time of year. Christmas is right around the corner, which means the cold weather is on its way. I really enjoy the four seasons living in the mid- Atlantic region. This time of year is not only the season for giving, it's also a season for beard growing! And I can only dream of accomplishing one of these works of art someday.... Now only if I could get the Mrs. to allow it. Haha! 5- This is for all you men out there. I stumbled upon this great site that's good for showing off the stuff you never knew you wanted! Check out uncrate! 6- Okay time to feel the pain! The clip below will either make you feel bad for this poor unfortunate dude or make you wet your pants with laughter! Either way it's worth watching. 7- Never have I ever been..... skiing or snowboarding! CRAZY! I know! I have always wanted to go but never have ended up taking the trip. I've pretty great at sledding and I've been on one cheap snowboards (the ones you slip your feet into) thats was pulled by a go-cart! So I really have no clue of how difficult this is, but I'd love to try! Enjoy the clip! 8- We bought a new Dyson vacuum a couple weeks ago. They are a lot of money, we have been through many in the last few years and we just couldn't pass up the killer black friday deal at home depot. I've always been intrigued by the Dyson tech and I really ejoyed their attractive ad campaign. I love some modern design! So clean and simple... Anyways, definately worth the money. We got the small compact ball model (DC24), that little machine is a beast! My only complaint is that it has a shorter cord that what I'm used to, but that wouldn't stop me from buying it. It's been sucking up tons of dirt around our new pad! 9- Ladies, are you in need of some clothing ideas for your man this Christmas season. 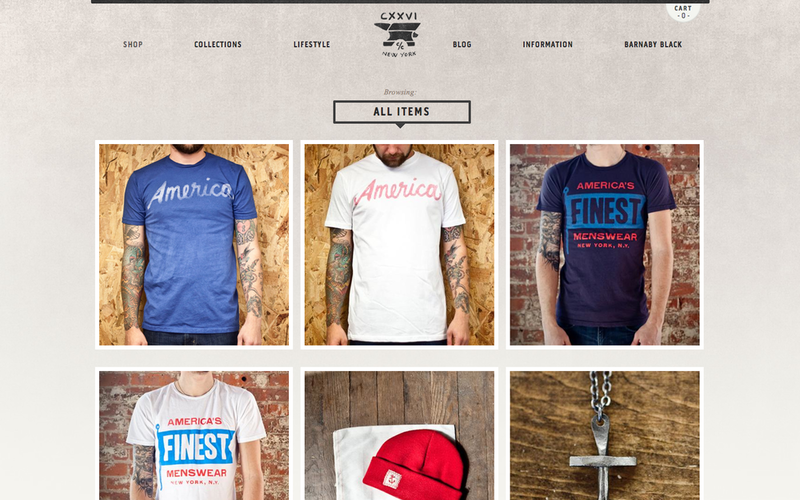 Check out CXXVI Clothing Co. They have great style and taste with a very classic feel. I'd say they put out some very hadsome threads. They're def worth checking out. 10- I've come to the conclusion that coming up with these confessions every week can be very challenging. Thanks for reading my first confessions. It's been fun! I hope all you enjoy the Holidays. I'm sure Emily will have a post regaurding her trip to NYC. So stay tuned! In the words of Bugs Bunny "Thats all Folks!"